For the first time in its 24-year history, there were two NI Young Musicians of the Year 2016. 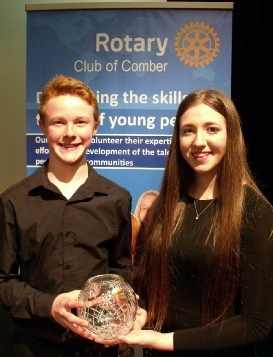 14-year-old Tom Myles, a clarinettist from Regent House School, tied for the title with Grainne White, a 16-year-old violinist from Carrickfergus Grammar School. Adjudicator Michael McCracken was so impressed by both performances that he could not separate them. He pointed to their excellent musicianship, saying: “At this level I take technical ability for granted but both these performers displayed those extra-special qualities that mark out top-class musicians: passion and commitment.” Michael praised Tom’s complete command of the difficult Time Pieces by Polish-American composer Robert Muscynski and Grainne’s authoritative interpretation of the dramatic Praeludium and Allegro by Austrian Fritz Kreisler. Runner-up was 17-year-old Matthew Kendell, from St Malachy’s College, who played an Elegie by Vieuxtemps on viola. Third prize went to 17-year-old cornet player Sam Brodison, also from Carrickfergus GS, who played a concerto by Philip Sparke. The Most Promising Young Musician title was won by 11-year-old Jack Myles on trombone, brother of the joint winner, performing The Acrobat by John Greenwood. Winners of certificates were: Jake Houston (flute), 13, from Cambridge House School; Anna-Maria O’Donnell (cello), 15, from St Mary’s GS; Angela Liu (piano), 12, from Methodist College; Robert Henderson (recorder), 13, from Lumen Christi College; Jamie Howe (piano), 13, from Friends’ School; Ganesha O’Donnell (viola), 17, from St Mary’s GS; Rebecca Doherty (recorder), 16, from Lumen Christi College; Bethany McClenaghan (piano), 16; Olivia Palmer-Baker (bassoon), from Regent House; Jack Rainey (flute), 17, from Fivemiletown College; and Georgia Begley (violin), 16, from Methodist College. 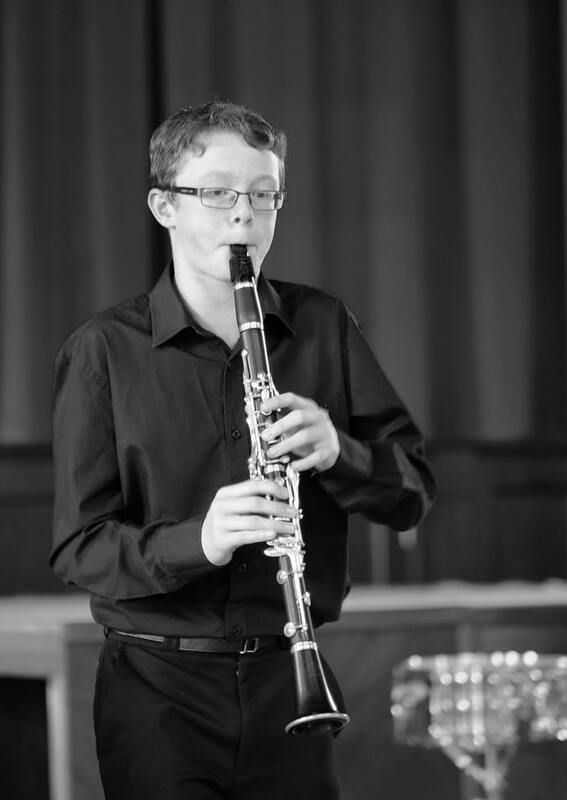 Tom Myles has been shortlisted in the 2018 BBC's Young Musician competition. He will grace the stage at the Royal Birmingham Conservatoire for the televised performance, and is aimimg for a place in the semi-finals. BBC 4 will air the performances in the coming months. Gráinne began playing the violin when she was six years old, and she has been very committed to a variety of orchestras, including the National Youth Orchestra of Great Britain, the Ulster Youth Orchestra, and the City of Belfast Youth Orchestra. She has enjoyed considerable success in many string festivals, taking first place in those at Holywood and Mossgrove, and she is currently the overall gala instrumental winner at Carrickfergus Music Festival. 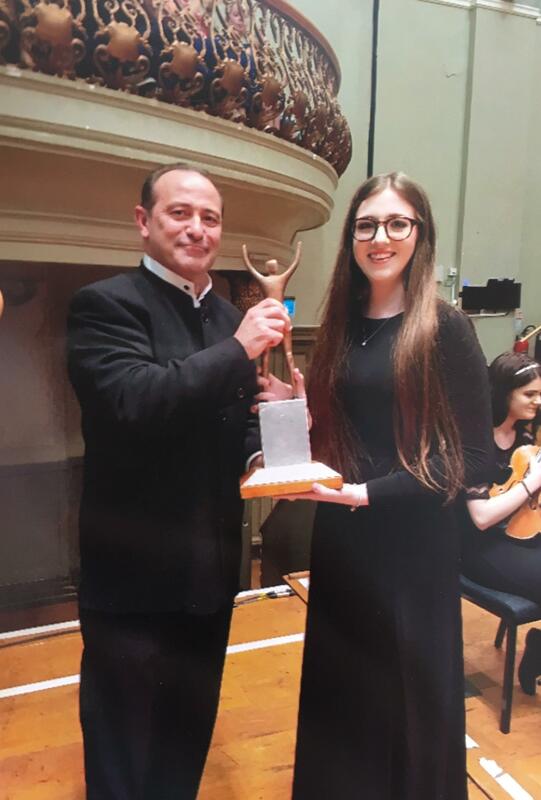 Gráinne is the leader of the second violins of the City of Belfast Youth Orchestra, and she is pictured receiving the Steven Parker Memorial Award from the orchestra’s conductor, Paul McBride. Gráinne has been awarded a Music and Dance scholarship to continue her studies at the prestigious Wells Cathedral School in Somerset.